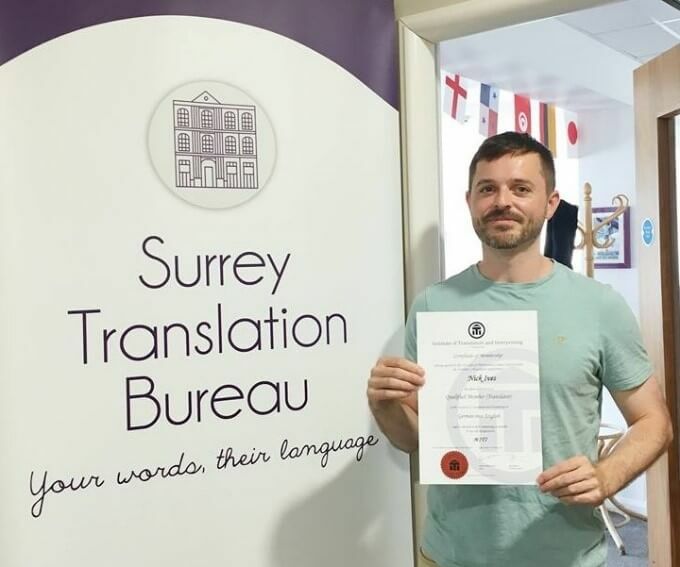 Our in-house translator Nick Ives recently attained the prestigious MITI status, which indicates qualified membership of the Institute of Translation and Interpreting. Candidates for the qualification must have a minimum of three years’ translation experience plus a relevant degree (or six years’ without) and are also required to pass a challenging translation assessment. We’re very pleased that Nick’s hard work day-in, day-out has paid off in receiving this industry recognition and it reflects the importance we place on promoting the highest industry standards. 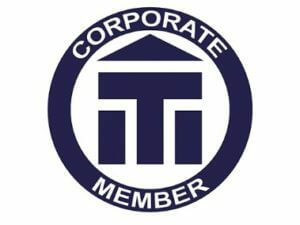 Surrey Translation Bureau is already a valued corporate member of the association and our team’s hard work and dedication was also recognised at last year’s award ceremony when we become the first ever winner of the Best Corporate Member award. Nick’s achievement means we now have two MITI-qualified translators on our staff as well as an associate member and an affiliate member. The Institute of Translation and Interpreting (ITI) is the UK’s only independent professional membership association for practising translators, interpreters and language service providers. The organisation aims to ensure the highest standards are maintained among its members with the guidelines laid down in its code of conduct. The code sets out four ‘principles of practice’ for members covering the areas of honesty and integrity, professional competence, client confidentiality and trust, and relationships with other members. Members are also required to adhere to certain professional values such as accurately and impartially conveying meaning when translating or interpreting, honestly representing and working in line with their qualifications and capabilities and continuing to enhance these through continuing education, as well as sharing knowledge with others. The ITI also encourages its members to engage in 30 hours of professional development per year. This could include taking part in formal training courses, watching webinars or attending conferences, or in-house training and client visits. This is something we also feel passionately about at STB, encouraging all staff members to regularly take part in any training opportunities available. If you’d like to hear more about our high standards and the services we offer, we’d love to hear from you! Please get in touch at hello@surreytranslation.co.uk.